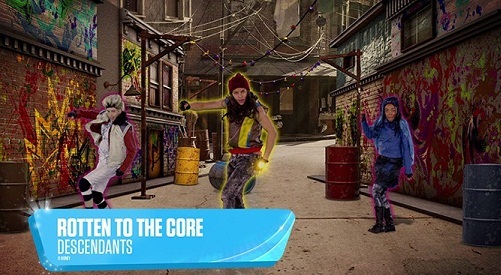 The Ubisoft, in partnership with Disney, developed Just Dance: Disney Party 2 (JDDP2), a result that brings music and successful choreography. The game, which features tracks from Disney Channel’s movies, comes to online stores on October 20, with versions for Xbox One, Xbox 360 and Wii U. Just Dance: Disney Party 2 has more than 20 songs. Among the films and series, there are hits like "Evil Like Me" and "Rotten to the Core", both Descendants, plus gifts trails in other hits such as "Teen Beach Movie" and "Teen Beach Movie 2". Are present also from Disney Channel programs of songs like "Girl Meets World", "KC Undercover" and "Liv and Maddie." In the game, users can enjoy the traditional gameplay of Just Dance series. Disney Party 2 will also include recreations of costumes and faithful to scenarios that fans are used to seeing on television. In addition, of course, the specific choreography for each song. An interesting detail for those wishing to enjoy Just Dance: Disney Party 2 on Xbox One is the karaoke feature that allows players to sing and dance to favorite songs.